Jack Nicklaus is arguably one of the biggest living legends in golf today. Possibly surpassed only by Gary player, he has a long an illustrious career under his belt as well as being able to claim authorship of some of the best-designed golf courses in the world. Here we take a look at some of the best Jack Nicklaus courses. The top rates Nicklaus course in the world, Manele Golf course has 18 holes, par 72, and is 7039 yards. The course is set on the rocky and very dramatic Hawaiian coast with rolling greens leading to steep cliffs into the oceans, just waiting for the unwary golfer to lose their ball. The course is best known for its daunting natural water hazards and yawning chasms that you have to hit across. 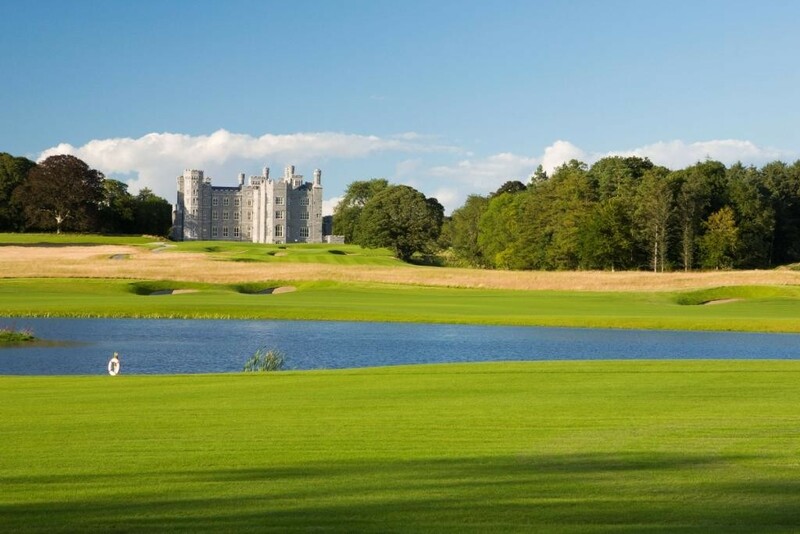 Opened for play in 2008, the Killeen Castle course is situated in Dublin, Ireland. The course boats 18 holes with a par of 72. Undulating through natural woodlands the course is playable all year round. Harbour Town Golf Links: Hilton Head Island, S.C.
Set on the South Carolina coast, this links course is one of the best in the world after the most famous St Andrews. The course consists mainly of narrow fairways, overhanging oaks, pines, palmettos, and dark lagoons which make it one of the most difficult courses to play. Another links course with very few trees, Old Works is set on the windswept peaks in Anaconda, Wisconsin. You can expect to come across many historic relics from the old smelter on the course, adding to its uniqueness. Australia’s premier Jack Nicklaus course, Lakelands is full of green trees, green greens, and gorgeous white bunkers. Showcasing not only the best of the gold coast but the best of Australian golf, the course has a par of 72, was Nicklaus’s first course design in Australia and is as rewarding to play on as Australian Open tennis betting! Known as one of the South’s most spectacular courses, Grand Bear is set in the DeSoto National Forest and comprises of natural cypress wetlands and towering pines. This means that most of the rough is made of compressed pine needles, adding a whole new element to the game. One of the few desert courses designed by Nicklaus, and a part of the Nicklaus train of courses in Spain, Saurines provides rather unique challenges. The par 72 links course gives you a feel of sandy beaches as the undulating greens roll between sandy dunes. The two lakes that flank most of the holes will leave you using every shot in your repertoire. Pearl Valley course is set in the iconic Western Cape Winelands in South Africa. Surrounded by towing peaks which get a dusting of snow in winter, this course is one of the highest ranked in the country and has received numerous awards. The two signature holes, the 4th and 13th will see you having to cross a creak a number of times on the way to the green.